For all its visual baggage of fedoras and femme fatales, film noir has acclimated quite well to the modern age. Musicals, westerns, and gangster movies have since come and gone, leaving these dimly lit crime drama to trudge on alone as part of the international psyche. Granted, the trenchcoats and “copper” talk have been swapped out for iPhones and sports cars, but the unwavering sense of dishonest dread remains. And though guys like Philip Marlowe may be gone, there’ll always be a need for someone to make a witty quip or put a slug in someone who talks too much. 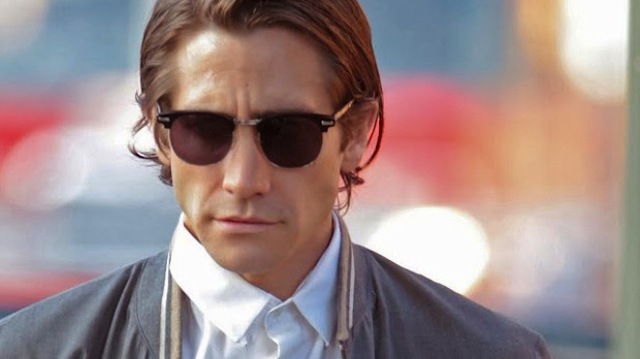 The “neo” in neo-noir is a tricky trait to nail down. At its worst, it embodies the phrase “all substance and no style,” with one only needing to look at Brian De Palma’s abominable The Black Dahlia (2006) for proof. Paired with Mulholland Falls (1996) and The Killer Inside Me (2010), these throwback pieces, awkwardly caught between the past and present of noir, don’t often succeed in outdoing the originators of the golden age. As such, with the exception of Chinatown (1974) and L.A. Confidential (1997), most neo-noir finds solace in the authenticity of contemporary crime. The guys from the 40’s and 50’s made movies about their current predicaments, so it only seems fair that the same courtesy be allotted to the men and women working today. Fortunately (or unfortunately, depending on how one looks at it), there’s still plenty of problems to explore in the internet age. The perils of digital journalism, the high-tech security that safeguards most modern heists, and; even further down the line, what time travel could mean for a society unfit to use it. For even in a culture rapidly evolving, those pesky primal urges always find a way to bubble to the top and burn whoever left the pot unsupervised. In this regard, film noir, or neo-noir, will always be around. Here are the ten best of the 2010’s (so far). Far removed from the tragic cool of hep cats like Robert Mitchum and Humphrey Bogart, Blue Ruin anti-hero Dwight Evans (Macon Blair) is an overqualified loser. Hidden behind a hobo beard and a broken down jalopy, his predicament is one that’s not often a starting point in noir, save for Tyrone Power’s untimely fate in Nightmare Alley (1947). But Dwight eventually peels himself off the outskirts of society when his parents’ murderer is released from prison – setting in motion a twisted path of revenge and retribution. As far as refined glamour is concerned, this isn’t even close to qualifying. Writer/director Jeremy Saulnier, working from a Kickstarter campaign budget, fully understands his lo-fi limitations and instead focuses all energy towards a snarling awkwardness that best serves his pulpy material. Every aspect of the film, from its somber blue coloring to the uncomfortable length of each shot is intentionally implanted to put the viewer in Dwight’s trigger-sensitive mind-state. Saulnier spares no expense is fleshing out his eccentric leading man, and Blair’s soccer dad demeanor once he’s clean shaven is a terrific undercut to the instability lurking beneath. Consequently, things get ugly, and they get ugly really fast. There’s an impressive amount of violence to be feasted upon here, and none of it goes according to plan. Dwight’s gas station killing is amateur hour at the neo-noir convention; a murder that captures better than most the sheer difficulty and disgust behind taking a life. This practice extends clear on through to the conclusion, where a stakeout turned blood bath does a lot in emphasizing the futility of revenge, and the innocent lives (if there is such a thing) that can be claimed as a result. It’s a film that’s brazen, ugly, and emphatically potent. 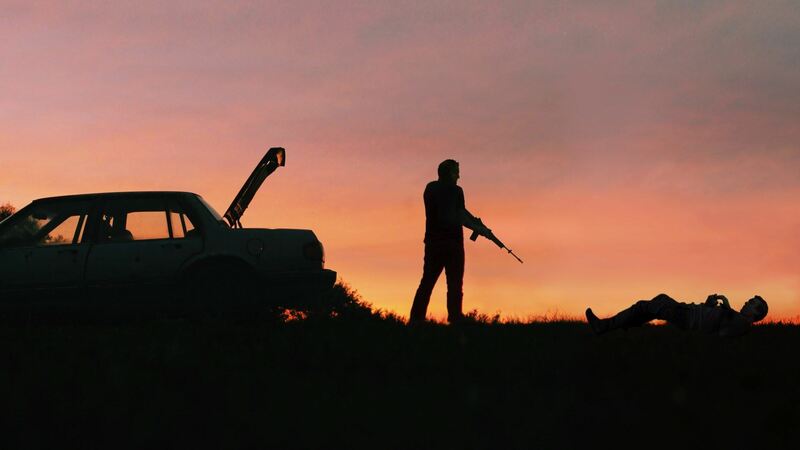 For fans who take their noir in a dirty glass, Blood Simple (1984) style, Blue Ruin is a brand you can’t afford to miss. Conversely, director Dave Boyle’s Man From Reno finds no issue borrowing heavily from the film noir forefathers. Opening on a sequence that couldn’t be more cloudy if stuffed inside a San Francisco sulfur pit, small town sheriff Paul Del Moral (Pepe Serna) quite literally runs into a dead body, triggering an investigation that crosses paths with renowned crime writer Aki (Ayako Fujitani). It’s a film that calls to mind many a mid 40’s murder-mystery, especially with regards to the plot, but eccentricities come often enough to avoid any claims of carbon copying. In fact, it’d be fair to say that eccentricity is what the film instills almost as much as a noir sensibility. Aki, a Japanese author hiding out in the city by the bay, bumps into a man (Kazuki Kitamura) at a bar that quickly segways into a night of passion. He’s from Reno, just to tie that thread together. Once dawn arrives, however, his disappearance sets in motion a series of increasingly bizarre detours that force Aki into assuming the role she plays so well in her books. The alliance with Del Moral on the latter half of the picture only adds to the distinct proceedings, offering up the most culturally displaced duo this side of Jean Pierre-Melville’s Two Men in Manhattan (1959) – a French noir also worth checking out. Credit to screenwriters Joel Clark and Michael Lerman for a story that evokes many female driven classics (Phantom Lady, Sorry Wrong Number) while still managing to shock come the desolate finale; which spits the viewer out full circle in the fog enshrouded marina of San Francisco bay. Visually, Man From Reno is remarkably assured, approaching one of noir’s capital cities with a moody flair for the theatrics. Fog, as previously mentioned, is key to both the look of the picture and the unsure demeanor of both leads, whose ethnic makeup does much in the way of exploring aspects typically unseen onscreen. 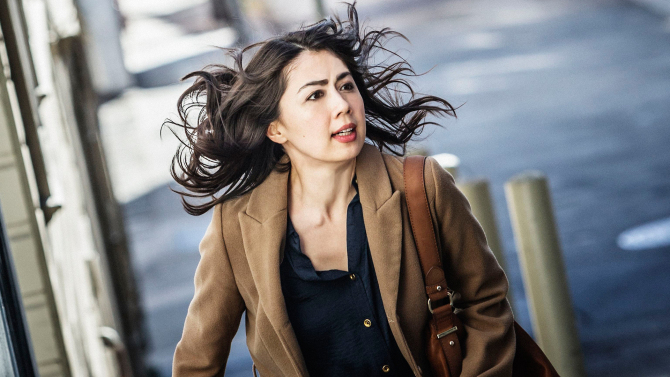 Boyle, an American director who places Japanese culture at the forefront of drama (Big Dreams Little Tokyo) and comedy (White on Rice), has crafted a noir of utter beauty. Samuel Fuller would be proud. Ben Affleck’s fandom of Michael Mann is well documented. Besides being a true aficionado on the 80’s icon, Affleck has pulled enormous influence when it came time to craft his own staunch neo-noirs, starting with 2007’s Gone Baby Gone. Set amidst the hardened streets of his Boston hometown, it allowed the rookie director to emphasize stripped down drama over the commercially fluffy stuff he had been associated with as an actor – a theme stretched even further in 2010’s The Town. This time, armed with a semi-automatic and a wince of regret, the somber Affleck executed a heist noir of inspired proportions. Luckily, the Mann residue is still notable, particularly with regards to lead character Doug MaCray (Affleck). As a man emotionally cut off and obsessed with the criminal acts that define him, he’s a stoic addition to the likes of Heat (1995) mastermind Neil McCauley (Robert De Niro) and Frank (James Caan) from Thief (1981). Affleck, never one to be confused for a wide-ranging performer, caters to this in his co-penned script and the results are terrific; especially when sized up against flashy hothead Jem Coughlin (Oscar nominee Jeremy Renner). Both men organize one final score before calling it quits, but matters become a bit more complicated with the arrival of a dogged FBI agent (Jon Hamm) and a hostage-turned-love-interest (Rebecca Hall). Lots to juggle in the midst of breathtaking heist sequences and bitter intensity, yet the ball keeps rolling through Boston back alleys that make most neighborhoods look like Sesame Street. 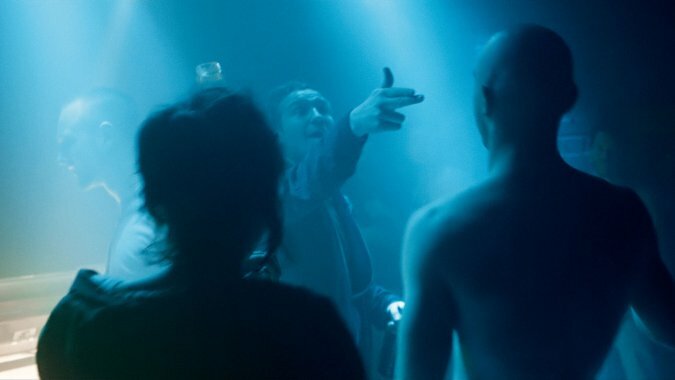 The director, while unable to conjure up the neon-tinged magic of his predecessor, chases after the grimness of modern crime and the results are unattractively intoxicating. And though the cast is star studded, they don’t flash their range as much as they perfectly embody character types: Hamm the Charles McGraw lawman, Renner the Richard Widmark chatterbox, and Hall the innocent Ella Raines. Writer/director Affleck has since gone onto bigger things, particularly Best Picture winner Argo (2012), but the subdued noir behind The Town will always comprise his most personal bit of filmmaking. Detectives Wang (Yu Ailei) and Zhang (Liao Fan) investigate a grisly factory murder in Northern China, 1999. Business as usual, until a simple interrogation turns horrendously bloody at the hands of those involved. Jump to 2004 (through a breathtaking transition shot), Wang is now a decorated officer and Zhang is a divorced alcoholic, reeling from the events that transpired so many years prior. Trauma runs deep within the cold veins of Black Coal, Thin Ice. Director Diao Yinan, who dabbled in noir previously by way of his debut Uniform (2003), plays the passage-of-time card in following these two men through the grisly events that link their obsession. In many ways a riff on the similarly themed first season of HBO’s True Detective (2014), Yinan purges even deeper than series director Cary Joji Fukunaga, searing each character’s emotions as if they were a cauterized wound. But it’s not until Zhang’s sparked fixation with Liang (Gwei Lun-Mei), the woman involved with each murder, that things really kick off into the deep end of unstable noir behavior. Each interaction shared is a flickering flame waiting to lash out, and Yinan’s pensive emotional stew is furthered by the brilliant match on action edits. There are so many moments: the POV of the opening body dump, the languishing bottle breaking down the steps, or the ice skate killing, that defy normal expectations and offer a sideways perspective to where the limitations of neo-noir lie. By story’s end, the resolution is more or less a moot point. Liang joins the ranks of femme fatales prior through a silent, childlike demeanor that mostly succeeds in uneasiness. Zhang, still without a purpose to his withered life, drunkenly visits his ex-wife and dances like a fool with nothing to lose. It’s a truly strange closer to a film that spends much of its runtime already off the beaten path. But such is the beauty of the modern age, where cultural flavors are tossed into the noir arena with bewildering clarity. The human condition knows no ethnic bounds of cinematic suffering. Opening on the stutter of a nightclub dance floor, Victoria instantly primes the viewer for a tumble down the rabbit hole of back alleys abroad. The title character, an infectious young Spanish girl (Laia Costa) with a knack for piano playing, bumps into a group of Russian men while staying in Berlin. One, in particular, Sonne (Frederick Lau), catches the eye of the foreign fox, leading to a hushed first half of flirtation and after hour confessions. But then, sweet talked into being the driver behind “a little errand,” the innocently interested Victoria takes an unadvised U-turn towards the embassy of international film noir – a destination with a return exit that’s typically blocked off. The actual robbery isn’t even shown onscreen, but rather from the artsy perspective of Costa’s frightened character, in a scene reminiscent of crime classic Gun Crazy (1950). The resulting fall from grace, however, is a grim affair, punctuated by brief moments of bliss that soon smother over with tragic violence. Costa remains the film’s MVP, but by story’s end, she’s no longer the precious flower viewers initially fell in love with. Director Sebastian Schipper has torn her down to being as wilted as the sour souls that surround her, and that; in true noir essence, is a tragedy far worse than death. What I’ve neglected to mention thus far, and what actually has most cinephiles buzzing about the film, is that it was filmed entirely in one take on the morning of April 27th, 2014. Not a single cut or camera trick for over two hours, traveling through buildings, street corners, and espresso shops with each character – a colossal achievement. Cinematographer and cameraman Sturla Brandth Grovlen is a man among men for his sheer physical stamina, as is Schipper, who rolled the dice on a script that was largely improvised and shot all the way through three times. From a technical standpoint, it flawlessly makes a case for the capabilities of digital recording and careful choreography. From a narrative perspective, Victoria’s bipolar blend of romance and film noir fuse together to make one of the more intriguing cinematic experiments in recent memory.